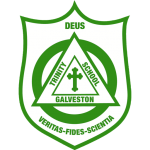 Tuition does not cover the full cost of a Trinity education. This is a reality in all independent schools. Most tuition-driven schools, including parish day schools like ours, depend upon parents, grandparents, parishioners, alumni, and friends to include them in their annual plan of charitable giving. All contributions to our fundraising efforts–even as little as $1–show support for the school's mission and our commitment to financial aid. Trinity Episcopal School is a separately incorporated non-profit (501 (c) (3)) organization, and gifts to our school may be considered tax-deductible to the extent allowed by law. Be sure to ask your employer if they offer a matching gift program, it could double the impact of your gift.